The Always-Updated Free Resource for Beginner & Intermediate Builders: Easily Learn Everything You Need to Plan & Build Your Dream PC! Welcome to BGC where we make it way easier to build gaming computers, even if you're a total clueless newbie. When getting a new desktop to experience the might of PC gaming in all its graphical glory, to get the fastest performance & highest graphics quality for your hard-earned money to fully enjoy your favorite games without lame lag getting in the way, building your own gaming computer truly is the best way. The good news is it's super easy and straightforward to build gaming computers in 2019, even if you're a total newbie who's never seen the inside of a PC before, and our simplified yet comprehensive guides and tutorials are carefully-crafted to help you conveniently learn everything you'd ever need to know to do it easily yet safely, and with 100% confidence. The saying that building a gaming computer is like Lego for grown-ups is accurate in this modern PC age, and assembling your own custom system is simply a matter of following instructions, plugging things in, connecting cables, perhaps screwing a few things in, installing software, etc - not a hint of rocket science involved and absolutely no need to be a computer whiz or engineer. Building your own PC is accessible to gamers of all skill levels, but as a first-timer you'll need some guidance and our beginner-friendly guides are here to make things as easy as possible for you and will explain everything you need to know to quickly transform from noob to custom PC ninja and end up with the best PC for your exact budget. Our PC building guides are crafted with beginners in mind, because we understand that no matter how many times you might hear that building your own gaming computer is dead easy, you may still be a little confused or intimidated. We aim to always write in simple plain English and without any confusing tech-jargon or advanced language that you often see in other custom PC guides and sites that typically cater more towards advanced PC users and hardware enthusiasts. 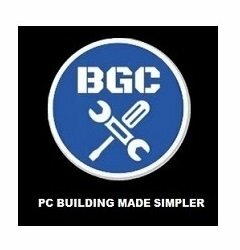 But here at BGC our primary focus is you, the PC building beginner (or intermediate needing a refresher), so that no noob gets left behind and everyone can take advantage of DIY PC gaming and reap the many benefits of building a gaming computer instead of buying almost-always overpriced prebuilt computers that are rarely well-optimized for gaming and that also typically include lower-quality cheaper-brand internal components (companies do this to lower their costs and maximize profits, which is fair enough, but for you as a consumer it's not so good because you may end up with a less-reliable system that's also less upgrade-friendly). Simply put, and objectively-speaking without a hint of biased exaggeration because we dedicated this site for PC builders, if you want to ensure you get the fastest, longest-lasting, highest-quality, best-looking, most reliable and most upgrade-friendly gaming PC to experience modern gaming at its finest (and for significantly less money than a prebuilt PC if you choose the best value components), the DIY path of learning how to build your own gaming computers like many of your favorite pros and streamers do is hands-down the best way to go. All that's required is to spend a few hours planning and tweaking the perfect parts-list for your budget (which is a huge part of the fun btw) and then simply 2-3 hours or so to put your parts together and load your software. Before you know it you'll be booting up your new rig with pride, and that awesome feeling of satisfaction will likely never leave you - being 100% in control of your new battlestation is a great feeling. Plus, when you learn how to build gaming computers you'll not only save money and get the highest quality PC that's built to last as long as possible, but you'll learn a lot of cool useful information about computers and PC gaming which will come in handy throughout your gaming career whenever you need to upgrade (or to help your friends upgrade the best way possible), whenever you encounter PC problems (if you build a PC you're in a much better position to be able to fix things, pinpoint and avoid issues, etc), and the knowledge you gain may help you in your job if you plan to work in a field related to computers, gaming, VR, streaming, eSports, and so on. Building a gaming computer also allows you to customize part selections to get the best performance in specific games, which is handy if you're a competitive online gamer or aspiring eSports pro who typically only plays a small selection of games (if not just the 1). For example, if you're building a PC for CSGO, you can really fine-tune your setup to avoid overspending and get the exact frame-rate you want for your specific resolution and settings. Last but definitely not least, by building your own gaming computer you can choose the exact design and style of computer you get, whether that's an RGB LED lit setup with all the fancy bells and whistles, or more of a compact, sleeper-style system with a super-cool low-key style to it. All the power and control is in YOUR hands (as it should be) to design the setup of your dreams that'll last you many, many years of endless enjoyment; as fun as consoles can be too, the PC truly is the Master Race of gaming with its vast possibilities and superior performance and graphics. Welcome to the adventure and good luck with your build! Need help planning the perfect parts-list to maximize your budget? More easily learn how to build gaming computers more wisely - and without getting lost in the vast sea of different hardware models - with our original, long-running monthly build series that's here to help you pinpoint the current top value parts on the market right now for any spending amount. 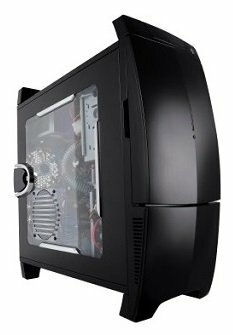 For over a decade our obsessively-researched recommended gaming computer builds for beginner and intermediate PC gamers has helped thousands of gamers around the globe each and every month to more easily choose the current best bang for your buck components on the market, that also gel well together and make for an overall killer well-balanced new custom setup. "Surprisingly, the hardest part about building a computer is deciding which parts to use and purchase"
After helping many tens of thousands of gamers over the years here at BGC, the above quote is bang on-point as there are an almost infinite amount of possible hardware configurations you could use for any given budget, and it's all too easy to get lost in the vast sea of specs, models and ever-evolving features out there in the market. 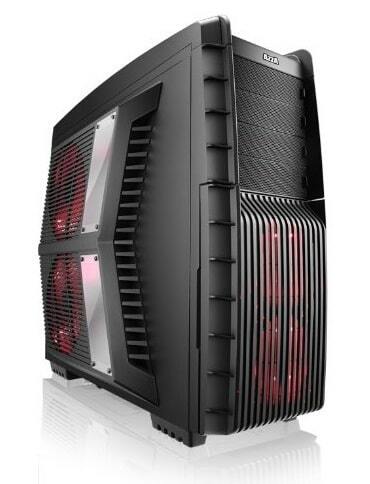 This confusion with choosing the best PC parts unfortunately leads some would-be builders to get overwhelmed with building their own system, and they become swayed to the PC gaming darkside of buying an overpriced, un-optimized prebuilt system (as mentioned perhaps ad nauseum around our site, the parts-list company's use in prebuilt desktops, even those marketed to gamers, are very rarely optimized for the fastest gaming performance). But fear not, Jedi, as with BGC by your side you can easily keep your DIY dream alive, and learn everything you need to overcome any potential hurdle you have to building your own computer. See the side by side comparison of this month's gaming builds here to begin planning your dream setup, which includes all the details you need to know as a beginner including how to get further help. Best of luck to you, and we hope the sample builds (and all our supporting guides around the site) come in handy on your quest. PS: We also include tailored component recommendations for builders not just in the US, but in Canada, the United Kingdom and Australia too. As well as the full ready-to-go gaming PC build examples above, if you want to go deeper with picking a certain component when building a gaming computer, we also produce periodically-updated in-depth buying guides on all hardware parts, which explain which features and specs to know about when shopping for a certain component, as well as our current top recommended picks in different price points. These specific hardware buying guides aren't necessary to plan and build a gaming computer, as our current recommended builds along with our gaming PC build guide for beginners may be all the information you need to start and finish your first killer custom setup, but if you get stuck on choosing a particular part the detailed component guides below may be invaluable on your DIY quest. When you build gaming computers there's no hardware component more crucial than your graphics card and this guide covers the specs and features to know about, and the best value GPUs for 1080p, 1440p and 4K on the market right now. The latest information on buying a processor including Intel vs AMD, which CPU features matter most, and the top bang for your buck gaming CPUs right now. Your motherboard is a vital piece of the PC puzzle and in this buying guide you'll learn about the most important features as well as handy tips on selecting the best Intel or AMD motherboard for your needs. The RAM in your custom computer plays a role in gaming and general performance and we cover RAM types, speeds, and how much you really need for gaming or other demanding applications. Traditional storage hard drives are still the go-to when building a gaming computer to stretch your dollar as far as possible (SSDs are faster but more expensive). Learn what you need to look for in a HDD for your desktop PC. Whilst totally optional, SSDs are all the rage these days and for good reason as they provide extra-fast loading of your operating system and most frequently-used games and programs. They're also quite affordable in 2019. The enclosure that houses and protects all of your expensive hardware is an important decision and here we cover everything you need to know to pick the best one for your budget and size preference. Last but definitely not least when building a good gaming computer is the often overlooked PSU which is an important component in the grand scheme of things and should be chosen wisely. Avoid low-quality PSUs at all costs. No point building a killer rig without hooking it up to a decent screen. In this guide you'll learn about the important features that make a good monitor for gaming and the current top rated models. Having a comfortable, decent-quality and accurate mouse without any input lag is of upmost importance to any avid PC gamer, especially for competitive multiplayer games or eSports where every millisecond counts. Your trusty keyboard is also a fairly important weapon in your gaming arsenal and this guide gives you the lowdown on what to know when buying a good one for your particular budget. Headsets can be a confusing bunch and we do our best to help you make sense of it all as well as advice on picking the best bang for your buck models on the market today for different budgets. Headsets are all the rage these days thanks to the rise of multiplayer/online gaming and the frequent use of chat mics, but sometimes you'll want to crank out a nice set of speakers instead. With digital download services like Steam going mainstream, for a 2019 gaming computer you don't need a CD/DVD drive but you may want one anyway to play old games, movies, or to burn media. Most modern motherboards don't come with built-in WiFi (except more expensive high-end boards) and so if you want wireless internet you'll need to get an adapter. This guide explains internal vs external adapters and our top picks. You can build the best gaming computer on Earth, but if your internet connection is slow or unreliable it's all in vain. Rule number one for good gaming internet is a decent plan from your ISP, but a decent router is also important. Not a necessary component when building a computer for gaming, but ideal for audio production and enthusiasts who won't settle for anything less than the highest quality audio possible.